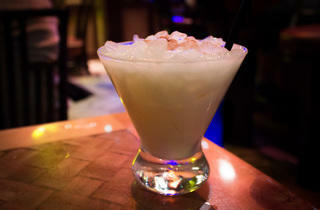 Photograph: Michael JulianoTiki tiki tiki tiki tiki rum at Trader Sam's. 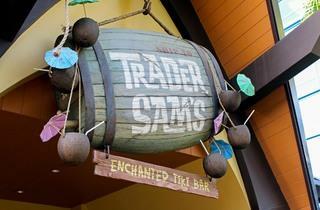 As one of the few—if not the only—tiki bar we know of that welcomes children, it may come as no surprise that Trader Sam's Enchanted Tiki Bar is Disneyland adjacent. 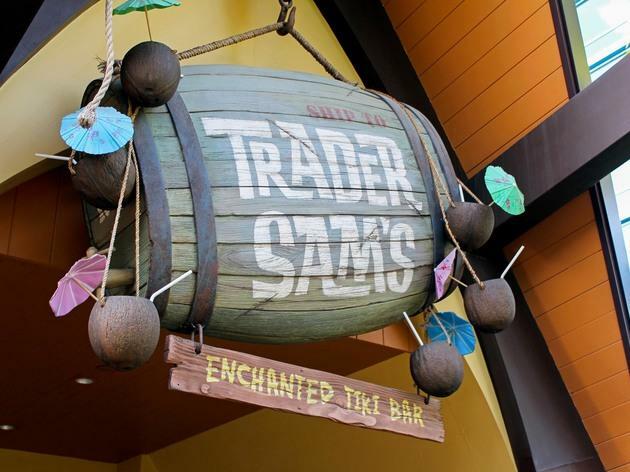 Situated next to the Disneyland Hotel, there are children here that marvel at the bar's special effects, sip on Sam's No-Booze Brews (like the juice-heavy Schweitzer Falls), and squeal with delight as bartenders in tropical T-shirts greet them with a friendly "Aloha!". Truth be told, the adults love all of that, too. 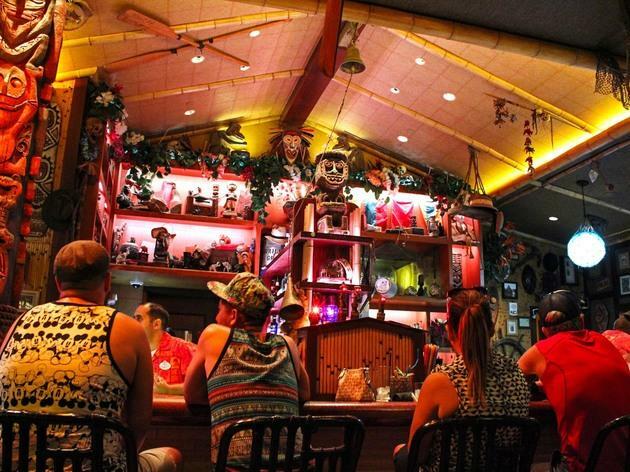 There is a certain childish delight that takes hold as you order the Shipwreck on the Rocks, a bourbon drink with freshly muddled lemon and mint, that prompts the bartender to suddenly clang a warning bell and squirt patrons with a water bottle as a fake ship sinks behind him. 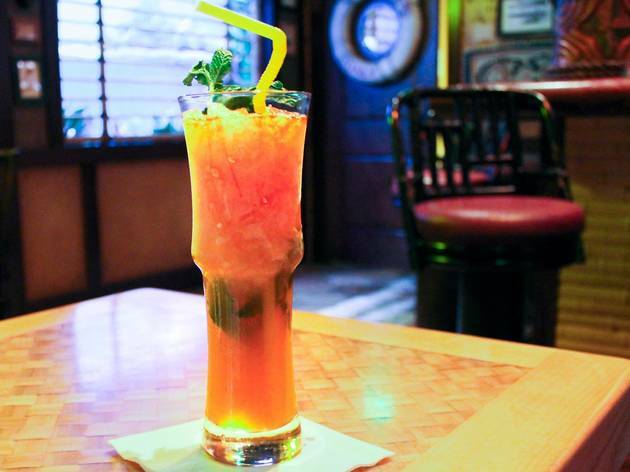 Or when an unsuspecting tourist asks for the Krakatoa Punch, a rum cocktail mixed with Sam's Gorilla Grog and hibiscus grenadine, causing a model volcano on the far left wall to erupt amidst mock cries of "We're going to die in the lava!" 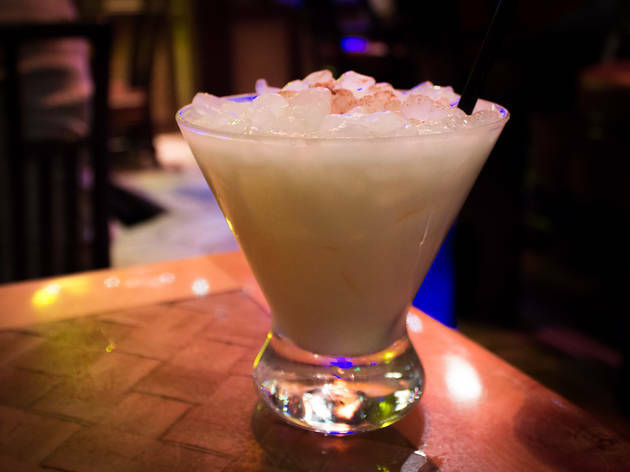 There are more mellow drinks, too: the Tiki Tiki Tiki Tiki Tiki Rum (yes, there are five Tikis) does not come with special effects, just rum, cream of coconut, pineapple and orange juice, and a dusting of cinnamon and nutmeg. 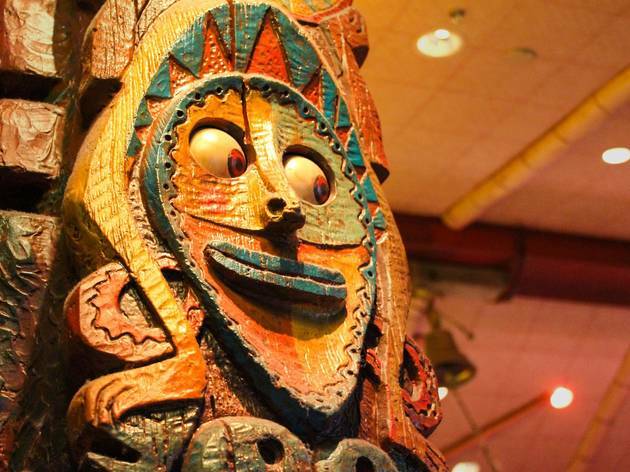 Still, a visit to Trader Sam's requires succumbing to all forms of kitsch, like the "oa oa oa" chants coming from the table that ordered the "Uh Oa," or the creepy moving eyeballs on the bar's pillars. Embrace it. You're in the happiest place on Earth, after all. 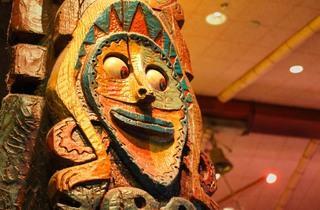 Since the space is tiny, the lines here can go rough—real rough—so it doesn't exactly feel like a Disneyland secret anymore. And boy can the service be slow. But wow do I love this place. 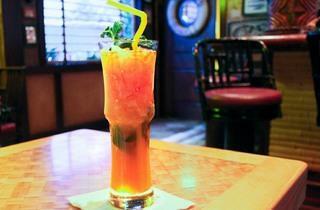 The drinks are surprisingly strong and in some cases, like the Tiki Tiki Tiki Tiki Tiki Rum, legitimately fantastic. The fried green beans are an absolute must have. But it's the theming and in-house effects here that just make me stupidly happy, especially after a few sips of a punch bowl. It's a low key atmosphere...outdoor patio seating is limited, especially in the evenings when the live music plays--but kids are welcome. 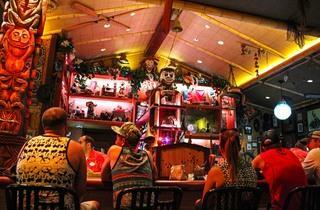 Inside the bar is adults only-but this is a cool places do worth a drink. The live Hawaiian music outside makes for a great evening.